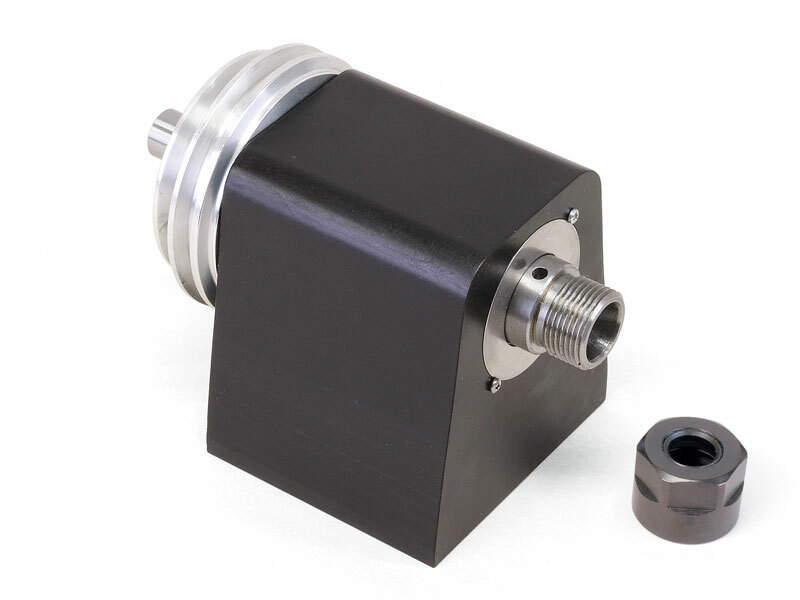 Industrial spindles are offered in several configurations and with pulleys for "V" belt or timing belt drive. 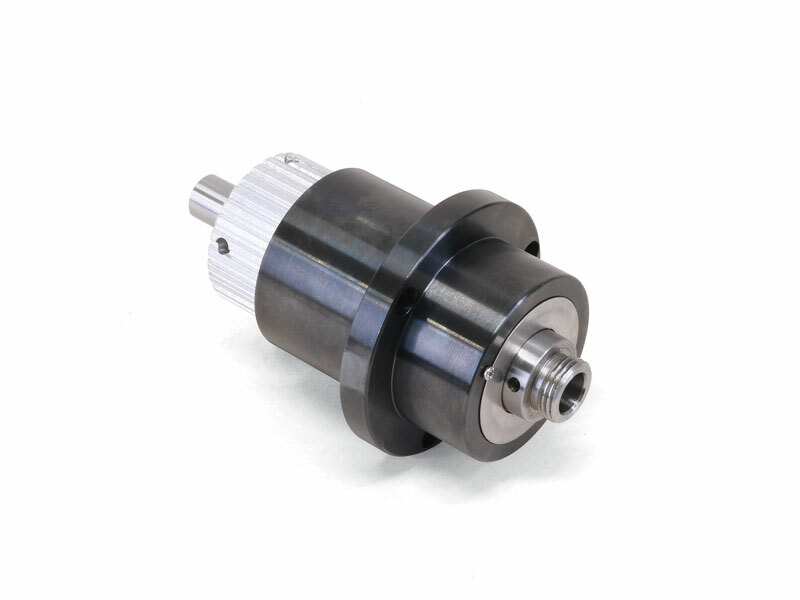 They can be ordered with #1 Morse internal tapers or ready to accept an ER-16 collet. 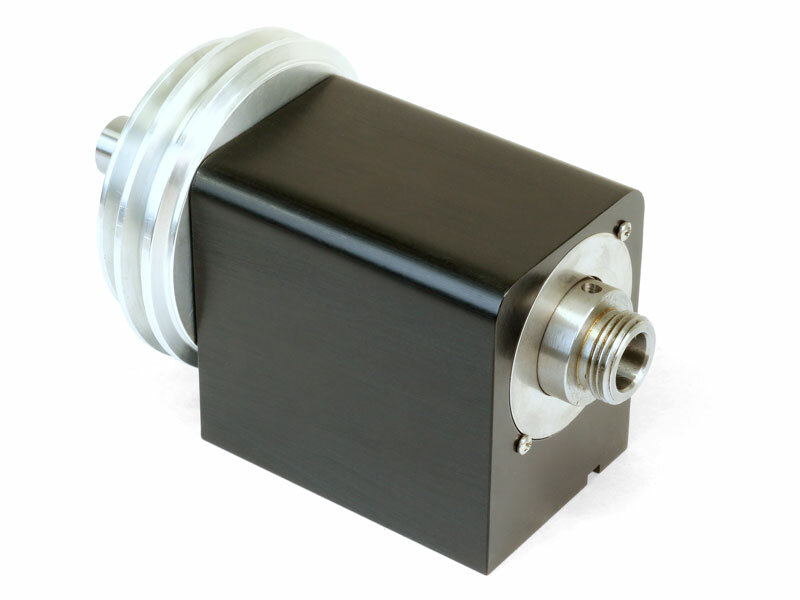 Some headstocks are available complete with DC motor and electronic speed control. 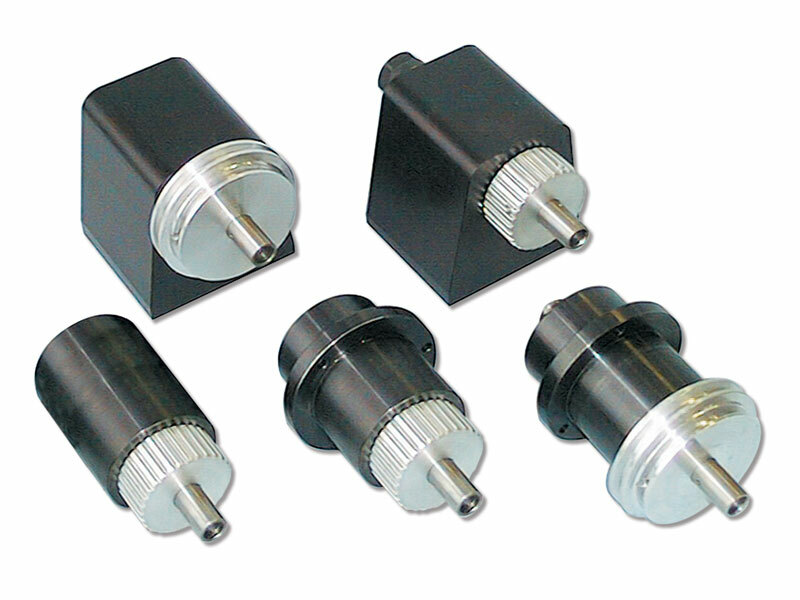 These can be run on any current worldwide from 110VAC to 240VAC, 50 or 60 Hz. 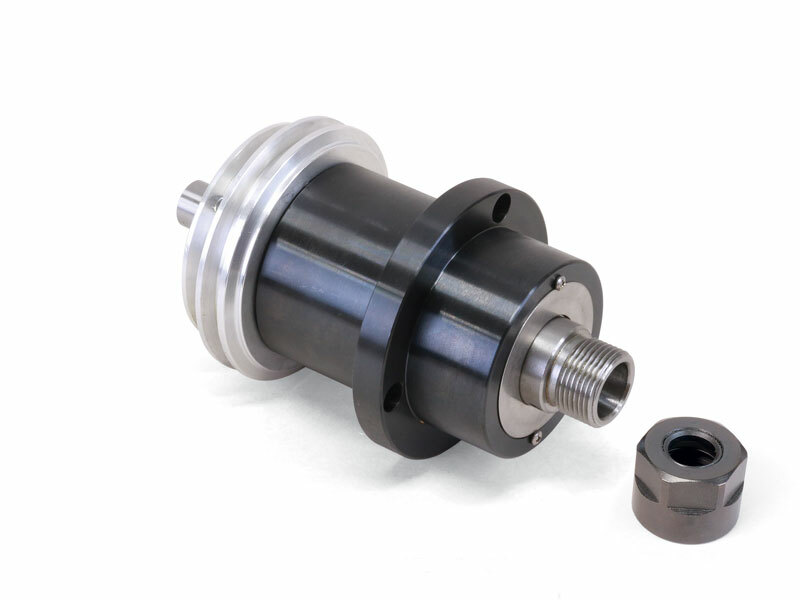 Flat bottomed and round cartridge spindles are available with a choice of pulley and spindle nose tapers and threads (Click on image for a larger view). 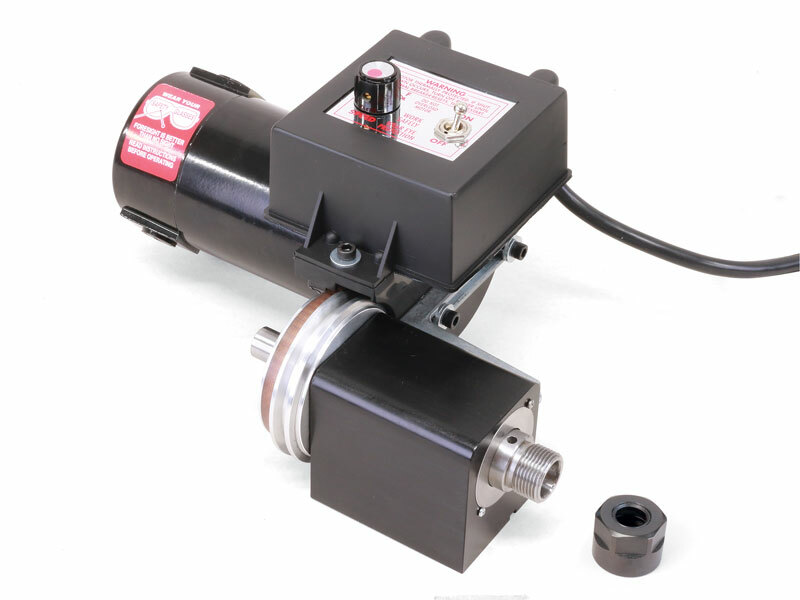 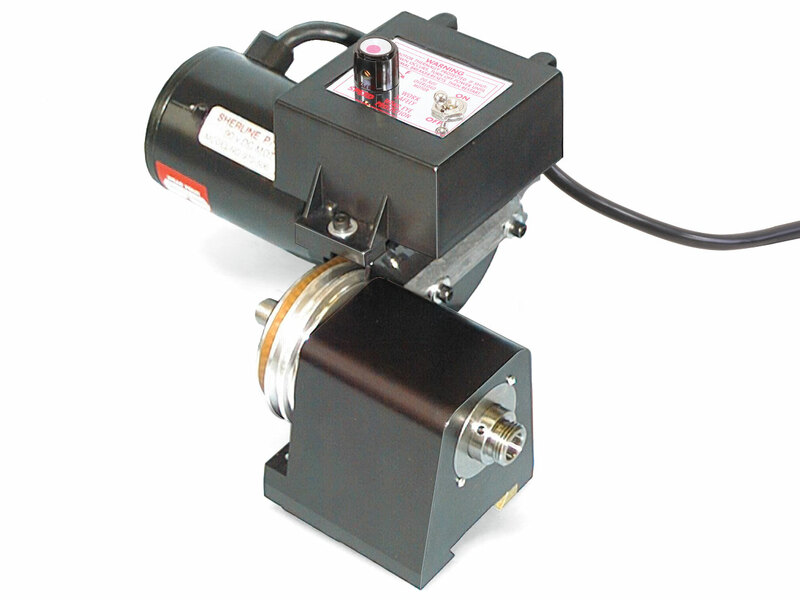 All Sherline Industrial spindles feature lifetime lubricated bearings with adjustable preload. 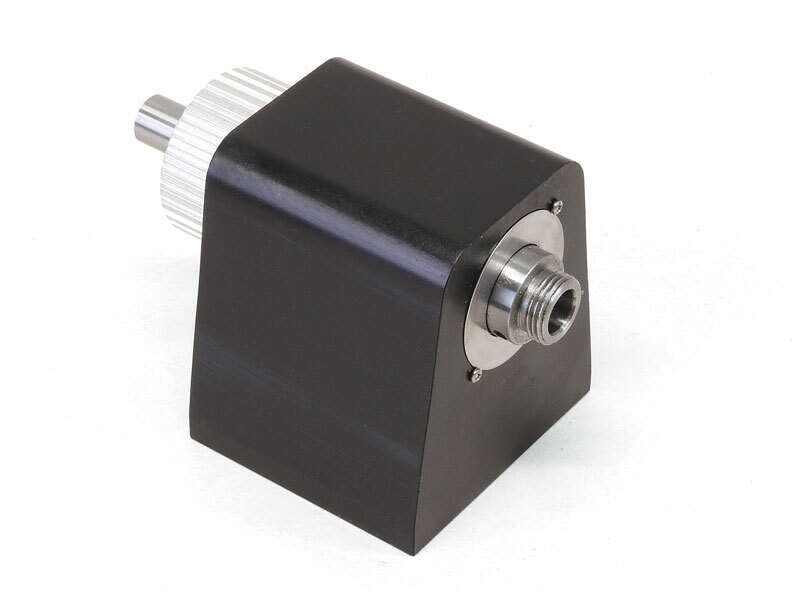 The headstocks are made from extruded 6061-T6 aluminum and have a black anodized finish. 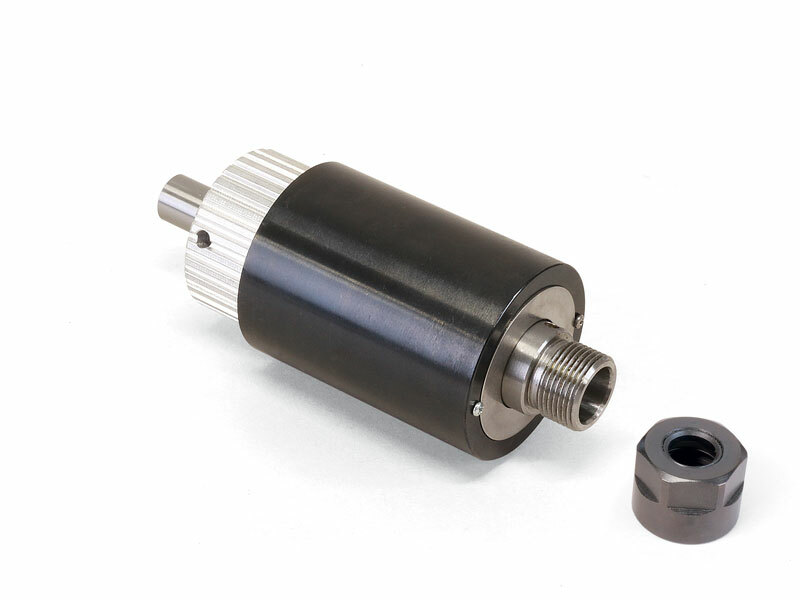 Cartridge spindle bodies are turned from bar stock steel and have a black oxide finish. 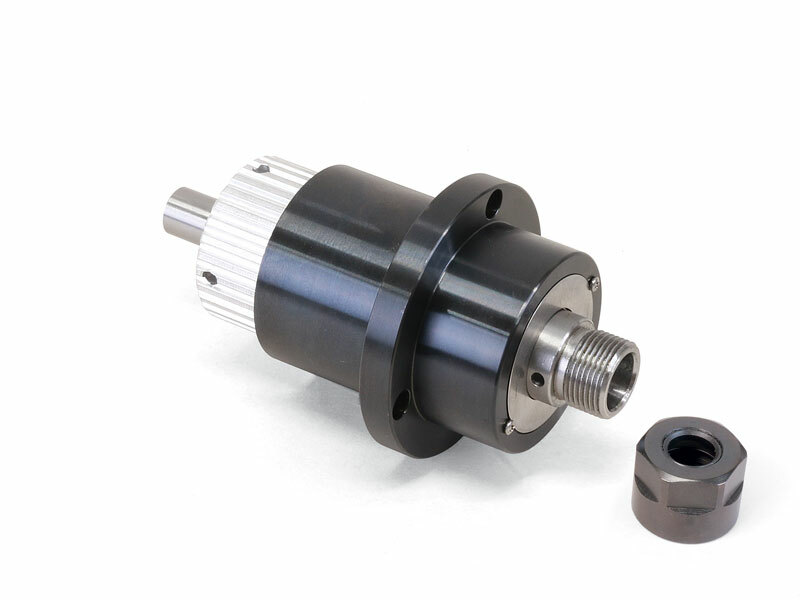 The steel spindle shaft has a .405" (10mm) hole through the center. 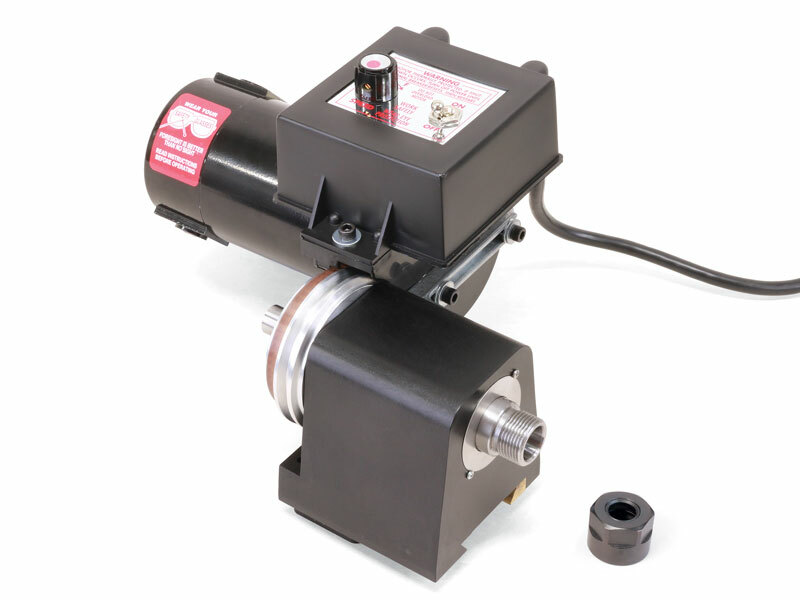 The spindle nose has a 3/4-16 external thread and a #1 Morse internal taper. All spindles can also be ordered threaded to accept an ER-16 collet. 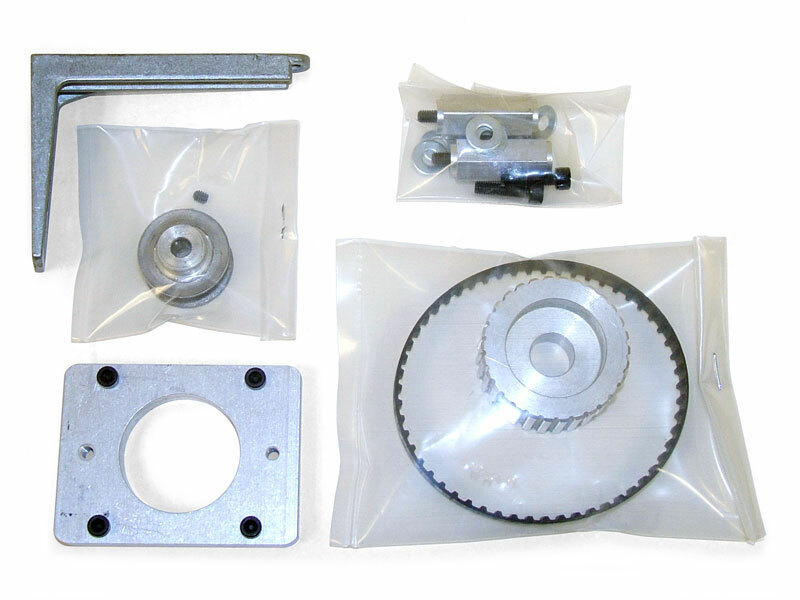 All headstocks and spindles can be ordered with either a cogged timing belt pulley or a 2-step "V" belt pulley. 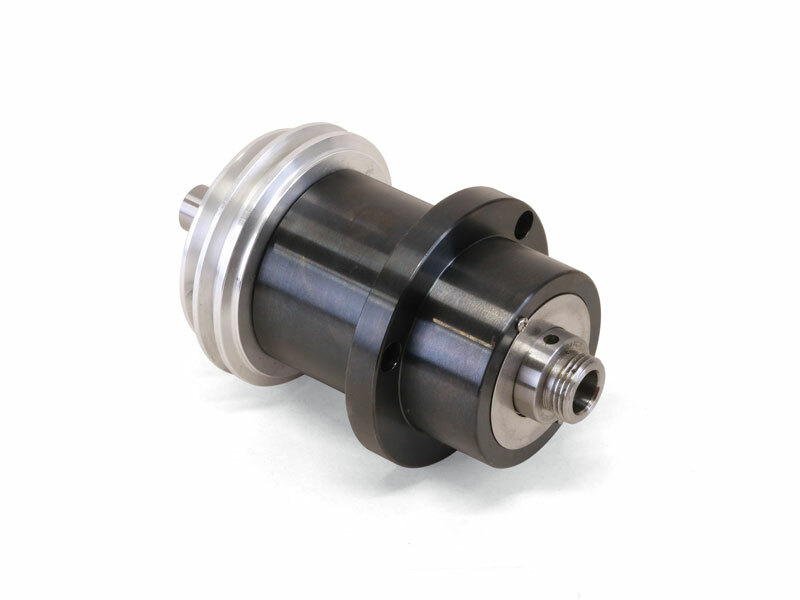 Pulleys are machined from 6061-T6 aluminum. 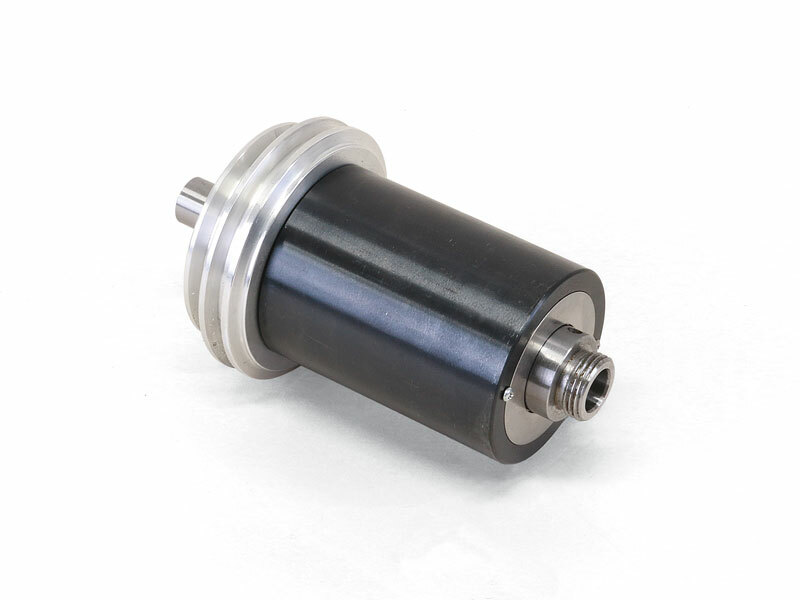 The timing belt pulley is a 1/5" pitch, 30-tooth, unflanged pulley designed to be used with XL-series rubber timing belts. 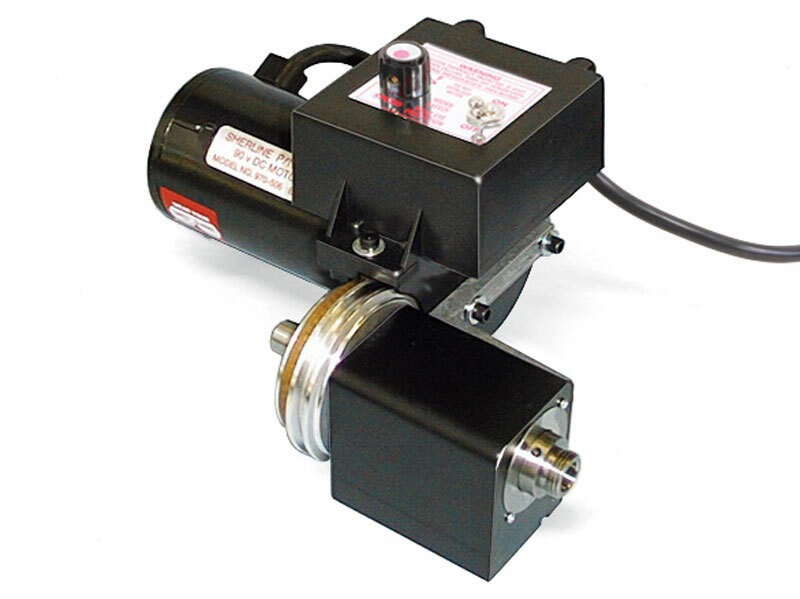 (The drive pulley used with it should be flanged.) 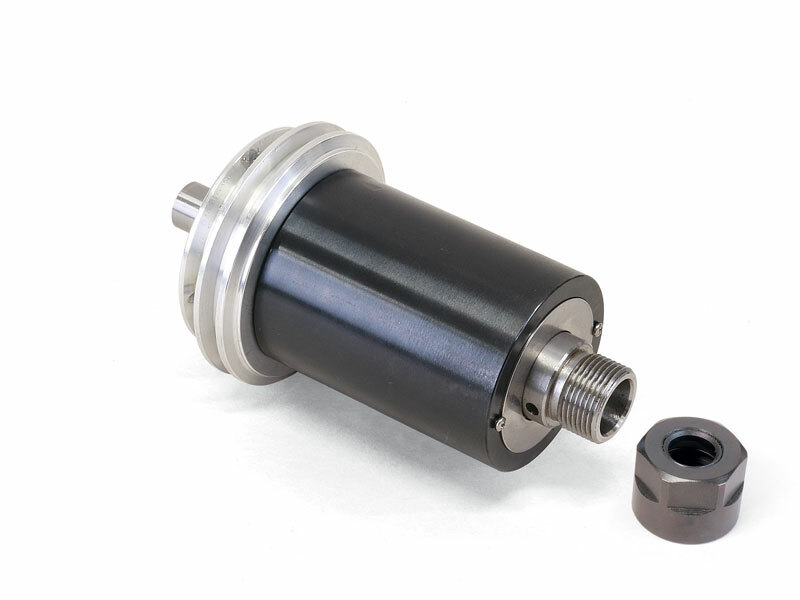 Headstock bearings are rated for a continuous speed up to approximately 3000 RPM with factory preload adjustment of .0002". 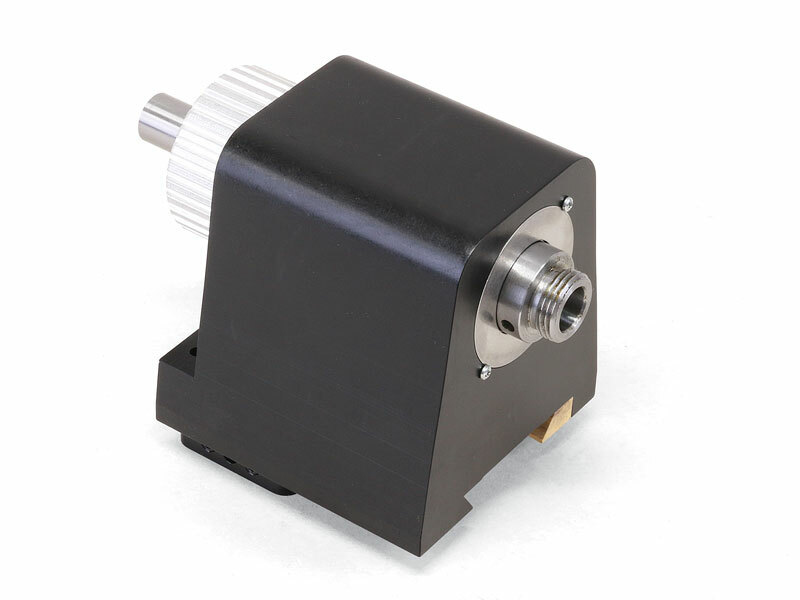 Operating speeds up to 10,000 RPM are possible with a slightly looser preload setting of .0003". 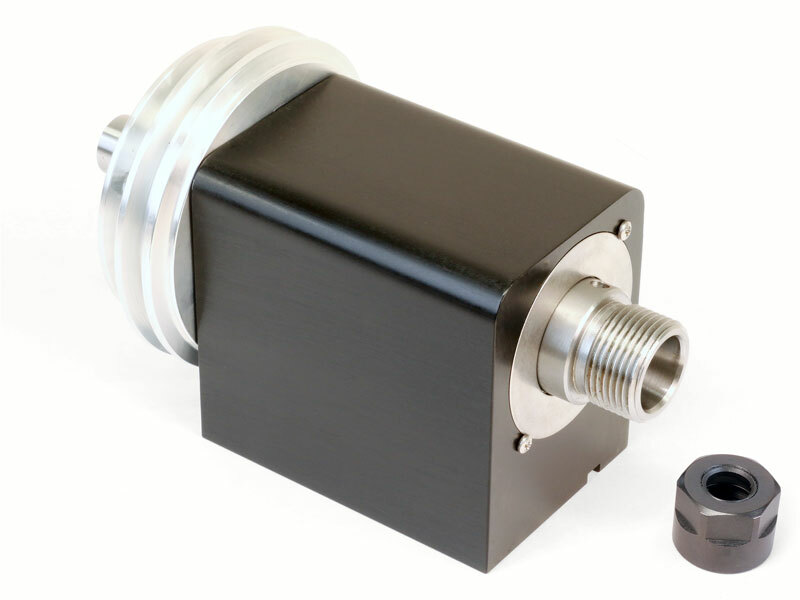 Sherline now offers 3D CAD files for many of our most popular slides and spindles in .IGS format for designers who need to spec our parts into their machine designs. 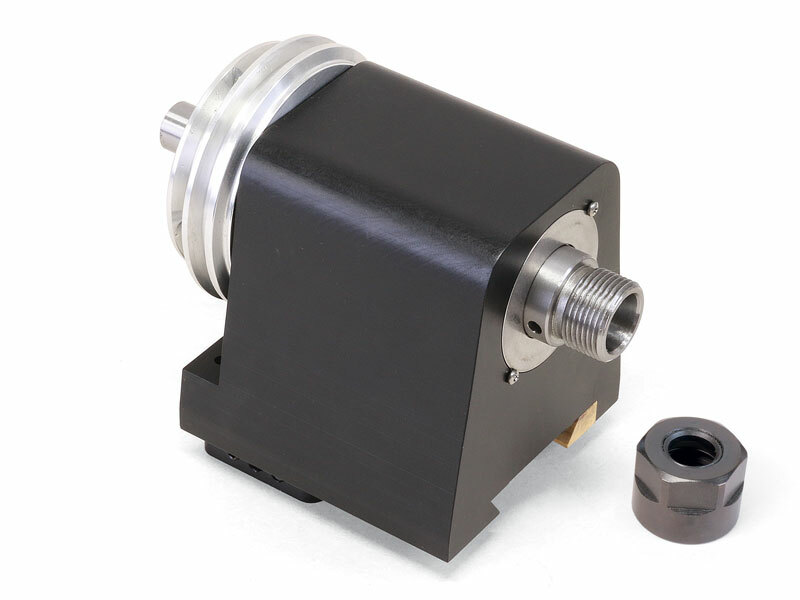 NOTE: A similar spindle with a dovetailed base is available mounted on a single-axis slide. 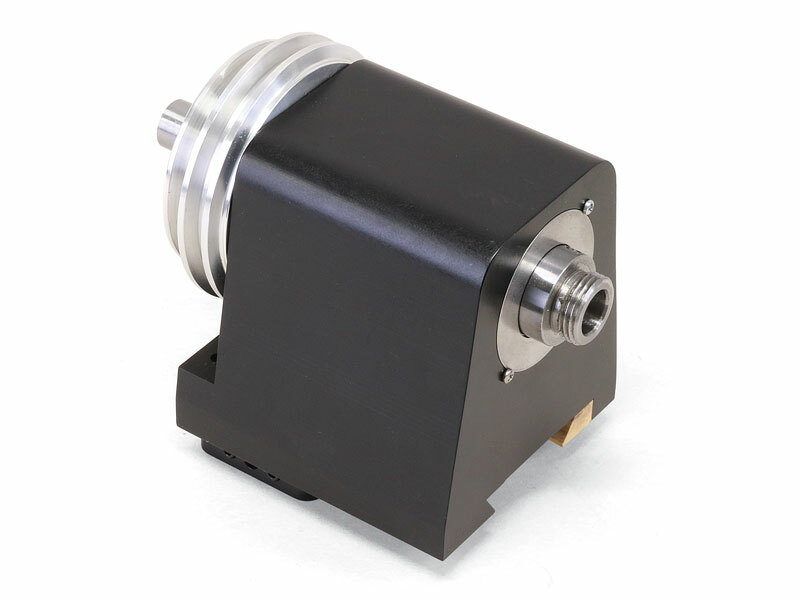 (See manual slides, P/N 6530/6531) The dovetailed slide is also available with a DC motor and speed control. 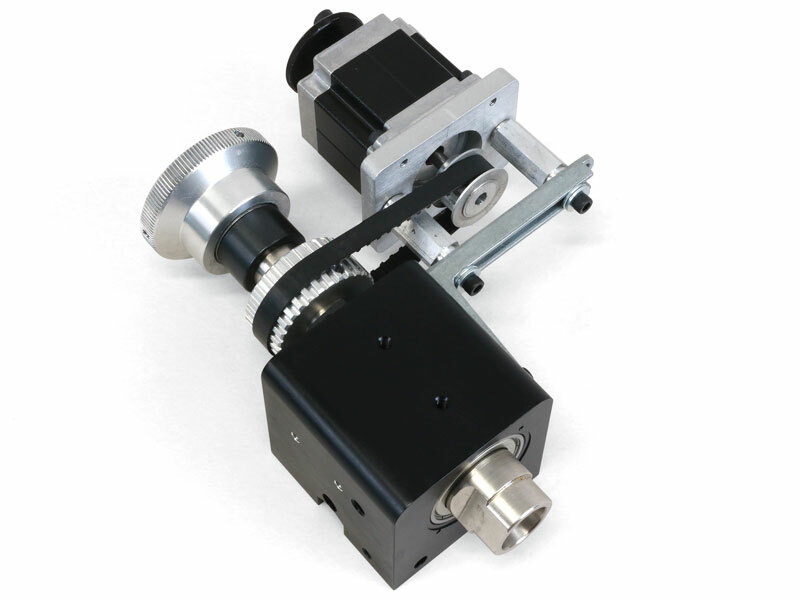 Certain jobs require the headstock to be rotated at a fixed and accurately controlled slow speed. Driving the spindle with a computer-controlled stepper motor is an excellent way to accomplish this. 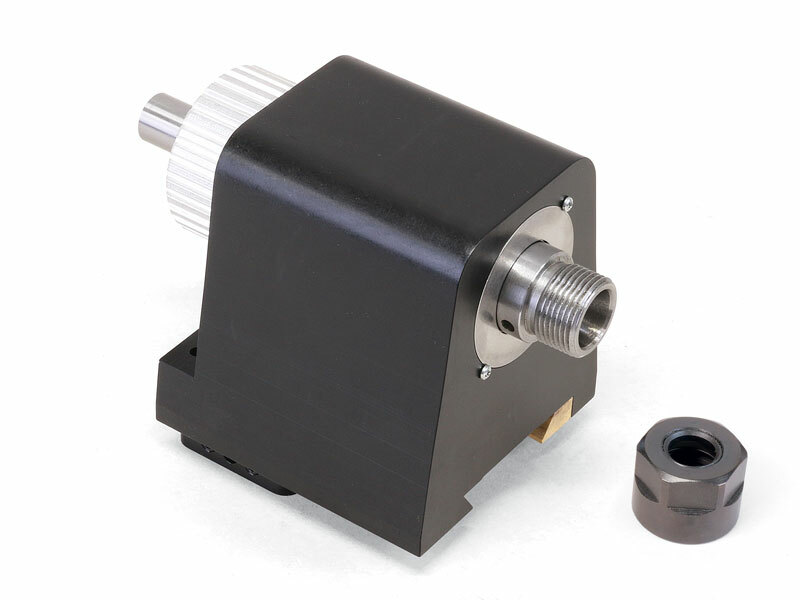 The stepper motor mounting kit includes the items you need to mount a stepper motor to drive any Sherline standard or industrial headstock spindle that accepts a motor mounting bracket. 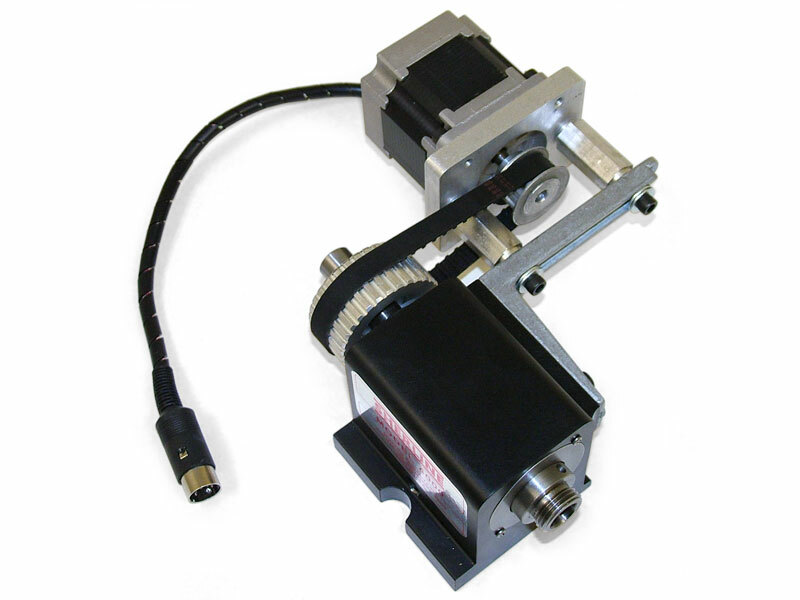 Click the MORE INFO button for details on using a stepper motor to drive the headstock. The 3D RAR file includes three IGES files: one with a standard headstock setup and two with 3C collet headstock setups.